My dear wife Karen did a great job this season with the backyard gardens at A Bitty Better in the Liverpool neighborhood of Galeville. Our first summer definitely delighted the gardener in her. The roses, in fact, had October blooms in them. 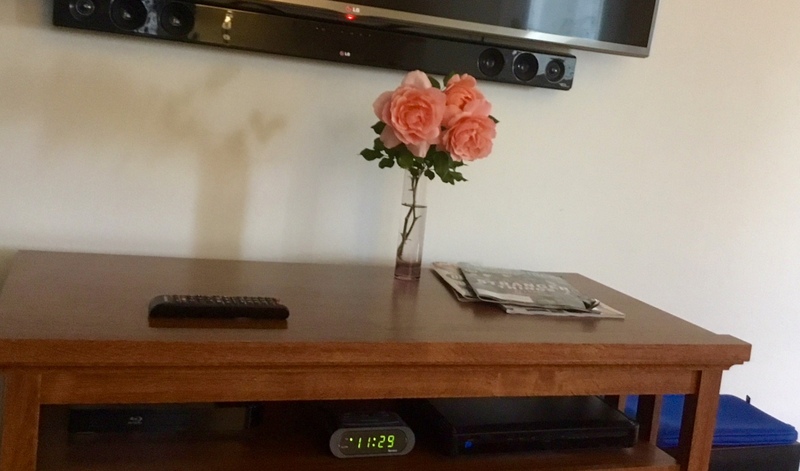 So she clipped the pretty pink plant and placed some under the flat screen in the living room. Those flowers are beautiful MBM. I’m glad to share them with my friends, MBC. Hi Mark, long time no see. I’ve been super busy! I’m sure you had a beautiful garden this year!